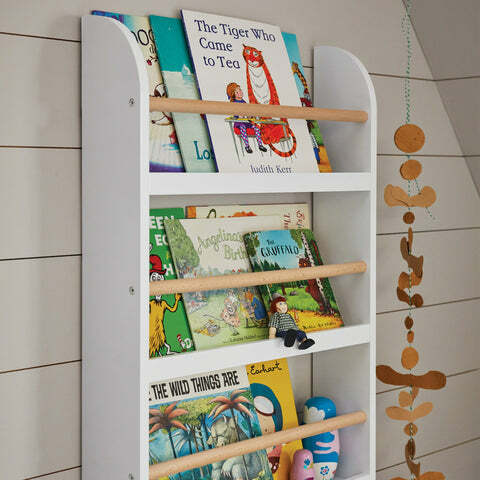 Compass Bookcase | Great Little Trading Co. 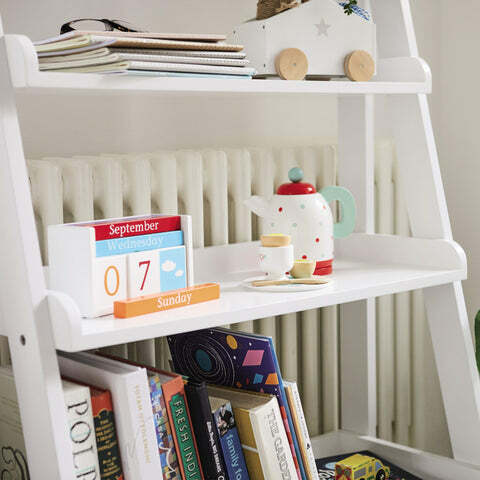 This sturdy, white bookcase has shallower shelves at the top so it won't dominate small spaces; we LOVE that each shelf has upright edges to stop things falling off or behind. 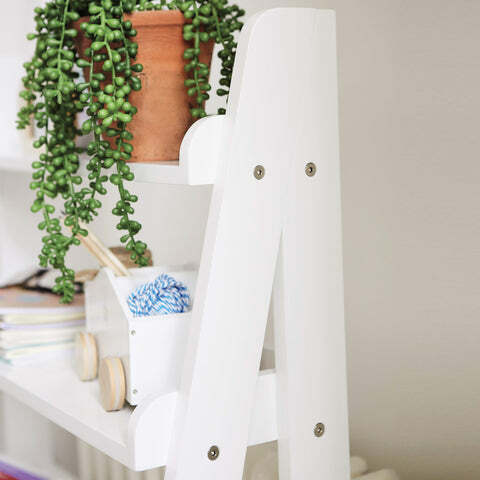 It's made from thick, tough MDF with a durable painted finish. It's wobble-free and like all our furniture it has been rigorously tested for use with children. But for extra safety please also fit the Anti-Tip Safety Kit supplied. Keep larger books in order with our front-facing, wall mounted Greenaway Bookcase; it makes a stunning wall feature that's also ideal for soft toys and football programmes or magazines.